Find Additional Information About Voter Registration. Find your polling place location using the My Voter Information system. 19MALA – "An Initiative Requiring Meetings of the Alaska Legislature to be Held in Anchorage" initiative petition application was certified on April 3, 2019 by Lieutenant Governor Meyer. As a reminder to voters filing for their Permanent Fund Dividend (PFD), the dividend application will be used to automatically register all eligible individuals to vote or to update voter registration information, unless voters opt-out. 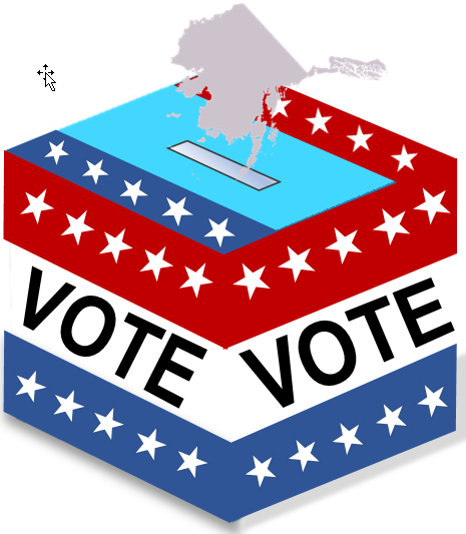 After the PFD application deadline, the division will prepare and mail a notification to voters who will be automatically registered to vote or who have an update to their Alaska residence address. Voters will have 30 days to opt-out of automatic voter registration by completing and returning the mailer. Full information about the program can be found here or Alaskan voters are encouraged to read our Frequently Asked Questions page. Find accessible versions of forms and applications, audio versions of ballot measures and candidate statements, and voter registration and informational videos with ASL interpretation.